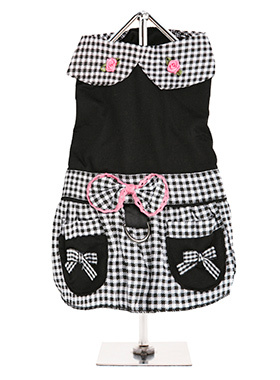 This Black Gingham designer dress is from highest quality material. It has a stylish collar with two raised roses and features a two tier skirt. 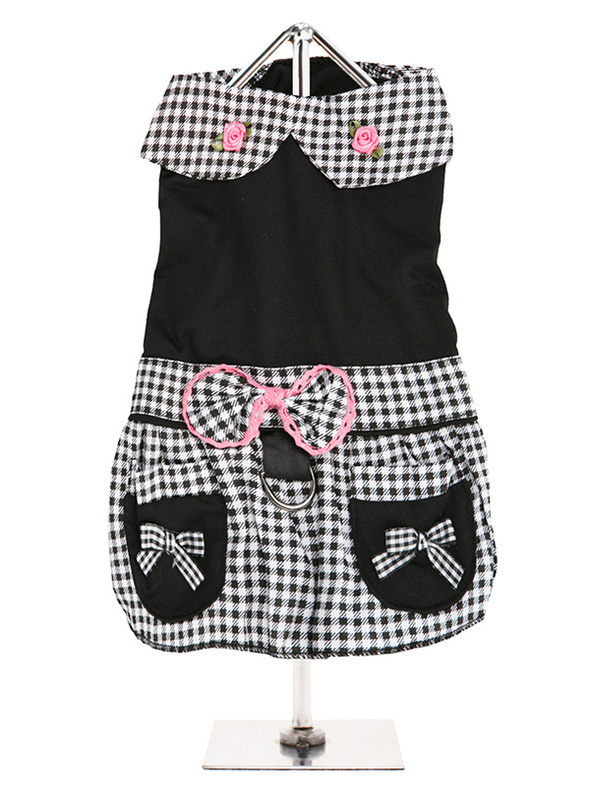 One of black gingham with two faux pockets and a black lower tier. As a finishing touch a beautiful black gingham bow trimmed in pink finishes the look. This beautiful dress set comes complete with a matching lead which can be attached to the D ring.